Oh my goodness!!!! My readers are in for a bunch of treats!!! 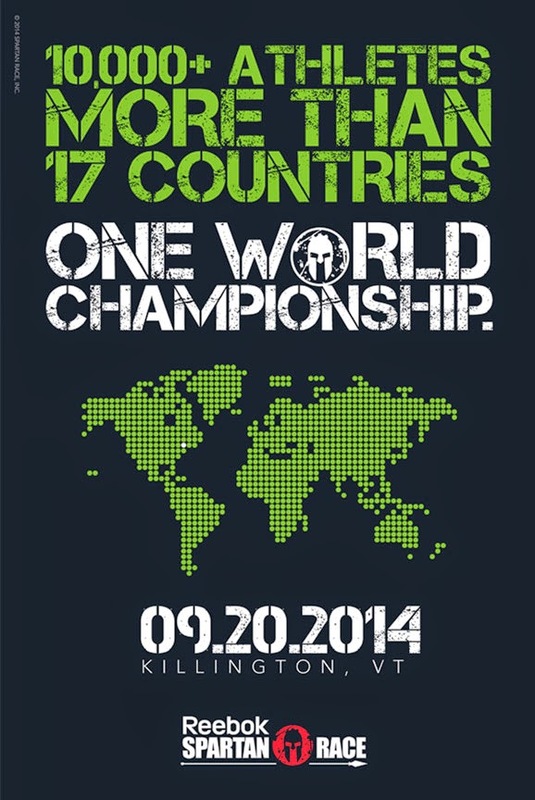 The buzzzzzzzzz happening for the Spartan Race World Championship Race in Killington Vermont on September 20th is crazy! These intensely trained men and women are elite athletes. 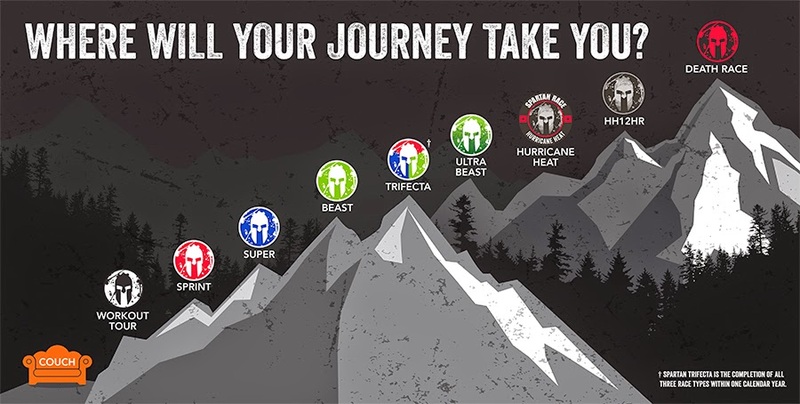 Make sure you follow +Spartan Race to see who wins. And now for the GIVEAWAYS!! 2. 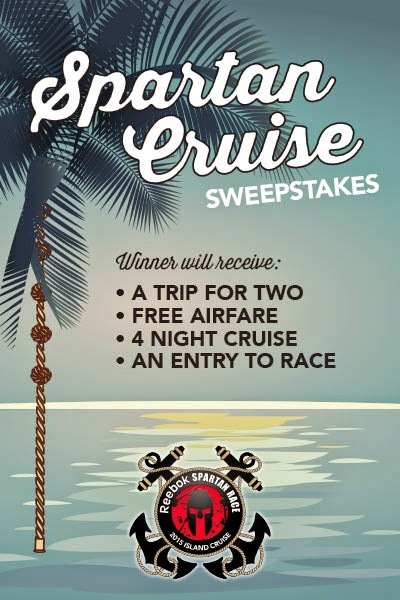 The other giveaway will be for anyone who blogs about this Spartan Cruise and the World Championship race and emails Dan Krueger, Spartan Race Inc., dank@spartanrace.com, dan@spartanracemedia.com with the link to your post on your blog. The winners will be picked on Sept. 22. 3. I ALSO have 1 free race giveaway to the random winner who comments below. The winner will receive a code emailed to them, from me, that will work one time for any open heat (non-confirmed start time) Spartan Race in the continental US. Winner will be selected on September 5th. "Spartan Race is on a mission to get you active, healthy, excited about change, and return to our ancient roots where running through woods, getting dirty, and facing adversity was part of everyday life. Our events are all about challenging today’s perception of normal." Welcome Troy Anna Smith of The Lieutenants Wife Blog: http://www.thelieutenantswife.blogspot.com She has a wonderful blog that I think a lot of my readers would appreciate and find very helpful. 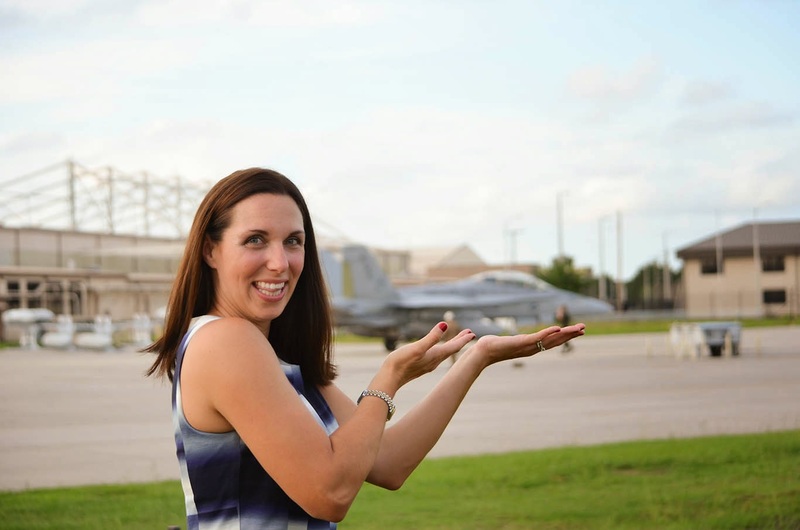 My blog mostly shares photos and stories, but Troy shares her personal thoughts, emotions, and life experiences of living the life of a military wife. From Troy, "My story starts as a girl, young and in love. 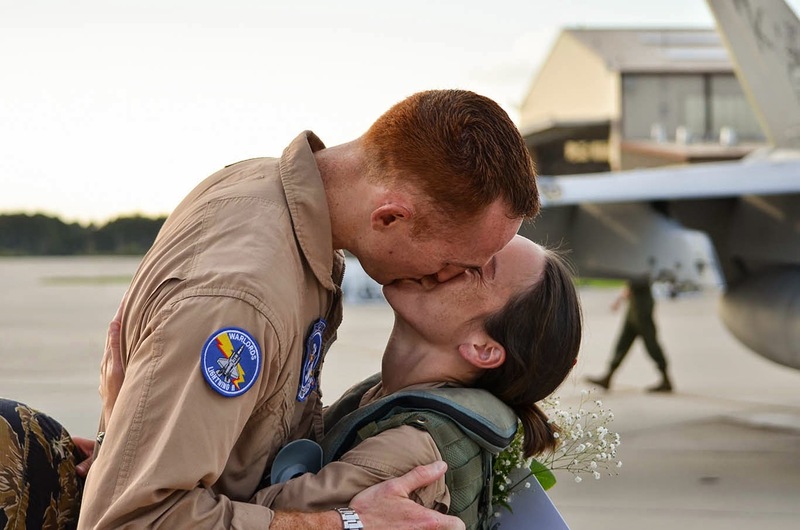 I married the man of my dreams, my best friend, who happened to look very good in a uniform, and that was all I needed to know. 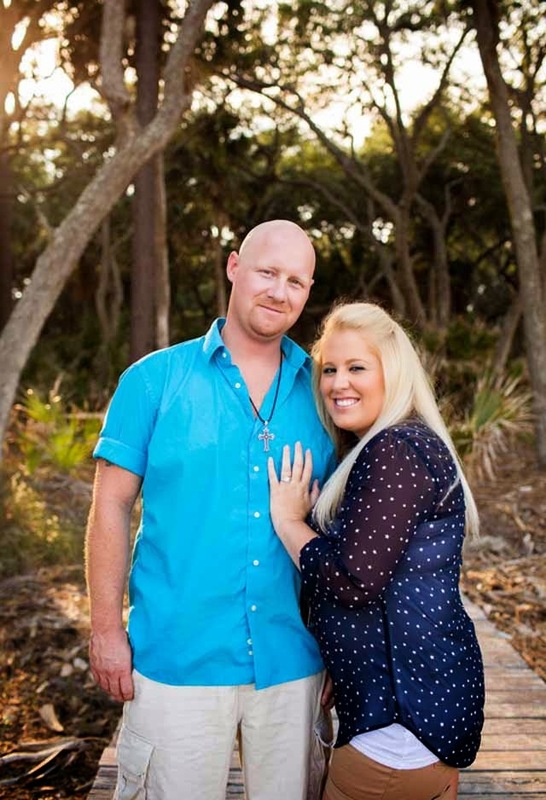 Within the first weeks of marriage, like many, I was thrown into a small, southern town … far from family and friends. 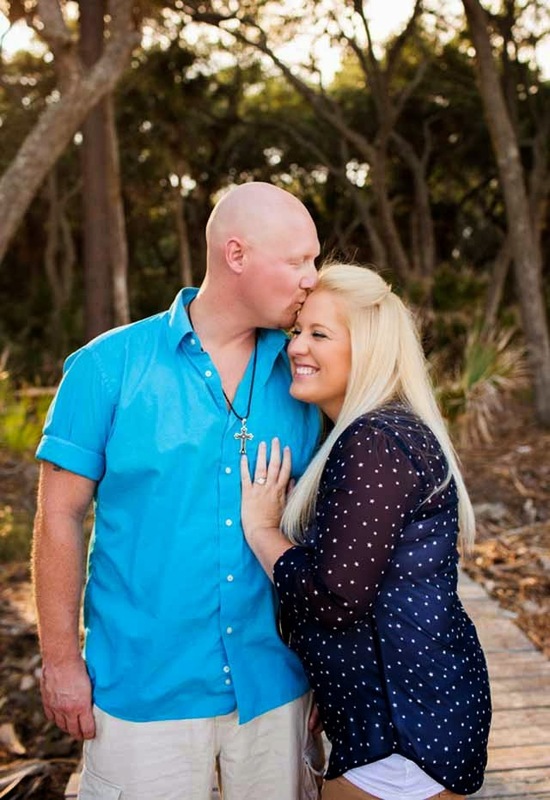 When we heard the news that my husband would be leaving for seven months and in no more but three days, my entire world seemed as though it had ended. 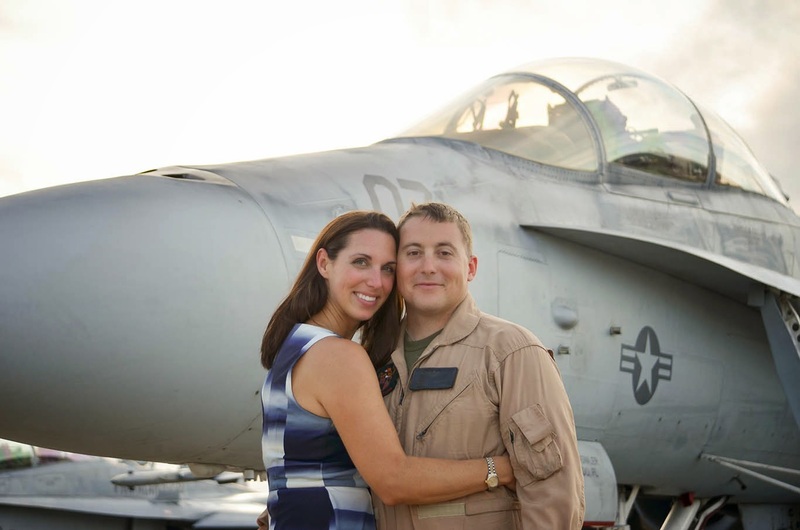 He was headed to Afghanistan, part of the initial troop surge that was announced over Thanksgiving dinner. I still remember how empty I felt. I wasn’t prepared, I had no idea what to expect, or who to turn to. I chose to blog for a number of reasons. It was a personal journal. 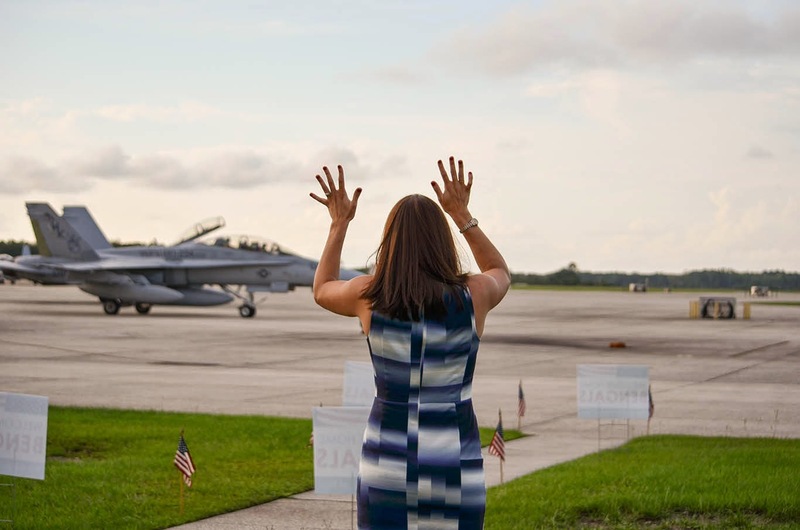 My hope was for it to not only become an outlet for my need to always put words to my many emotions, but for America to see what really goes on in the life of a military spouse. It's not normal, the stress and the worry -- and certainly not natural to be away from your partner under such circumstances. We will have missed anniversaries, birthdays, & countless holidays. So I was challenged. Sacrificing my privacy in the hopes that any vulnerability could help even one spouse feel understood, well that seemed worth it. It was a time in my life where I knew I would be raw ... and how freeing that could be to share to the public. To allow my open book during such trial and anxiety ... it almost felt powerful amid such weakness. And you know what? People responded … my brutal honesty found a compassionate audience, and I was able to feel warranted … as if that could ease the pain of our separation. I continued to write for a while after building such a loyal and loving following. 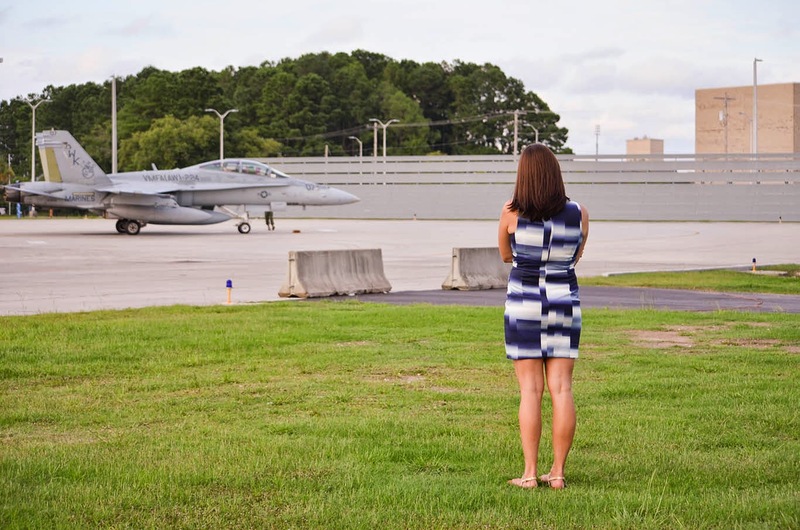 I found through blogging a way to discover my identity as a military wife, even when he wasn’t deployed. The moves, the goodbyes. The life changes. It was a chance to connect, to inspire, to celebrate, and to mourn. Six years later, three relocations, and one brand new baby … we now face the challenges of starting over, leaving so much of it behind. 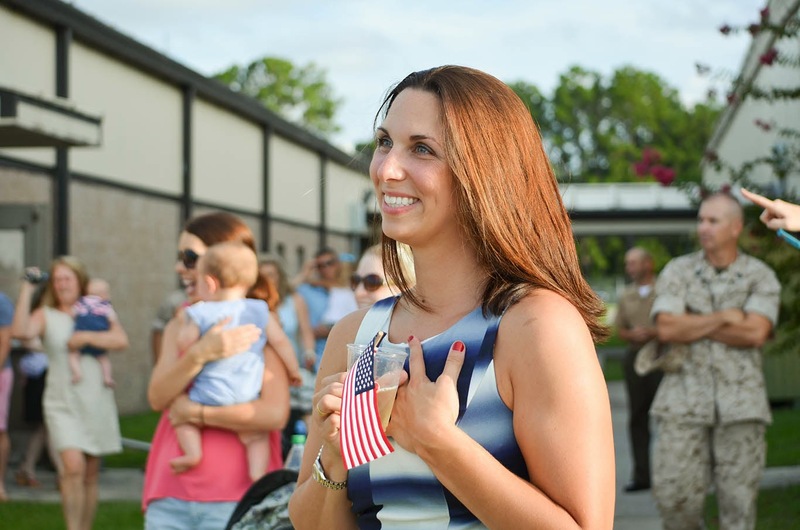 At this point, my life is far less interesting than when having a Marine at war -- but the constant excitement of chasing after our precious little girl, redefining motherhood, and post-war marriage restoration leaves me navigating through an entirely new terrain; I'm quite certain to have plenty worth writing for. In the meantime, I always encourage to never forget. 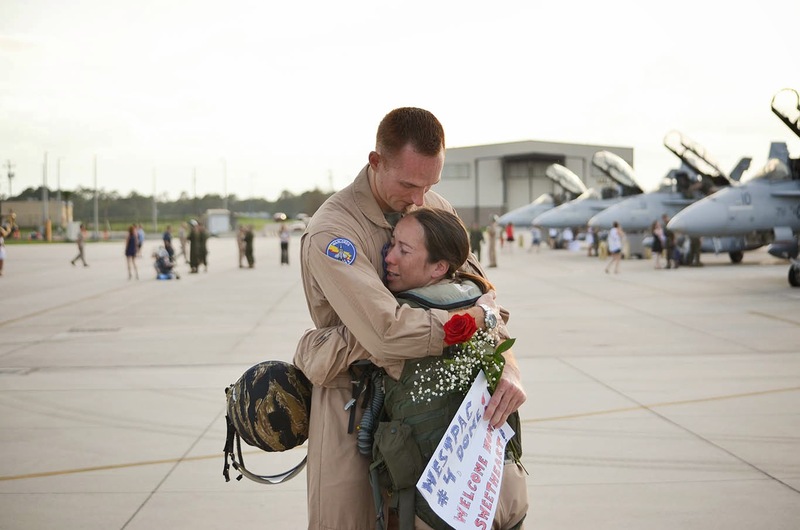 Please continue to pray for those who are keeping the fight, and the families left behind -- God bless & Semper Fidelis." 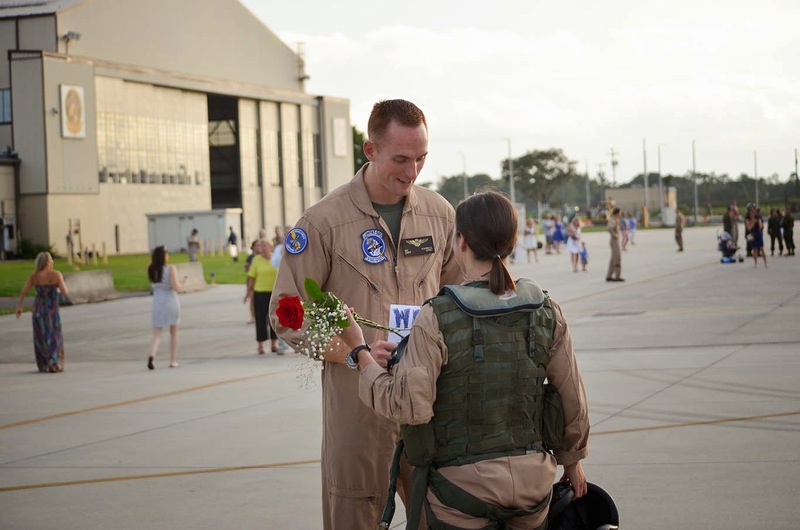 "Matt was returning from his second deployment with VMFA(AW)-224 and Jessica was beaming with excitement. 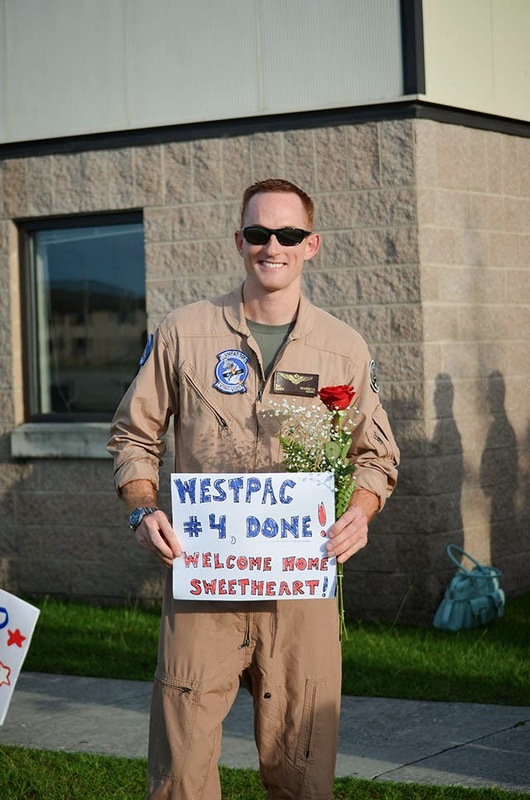 Matt has been in the squadron about three and a half years and done two 7-month deployments. The first time they hopped between Japan, Guam, and Thailand. This time he was mostly in Japan, but went to the Philippines and Korea too. 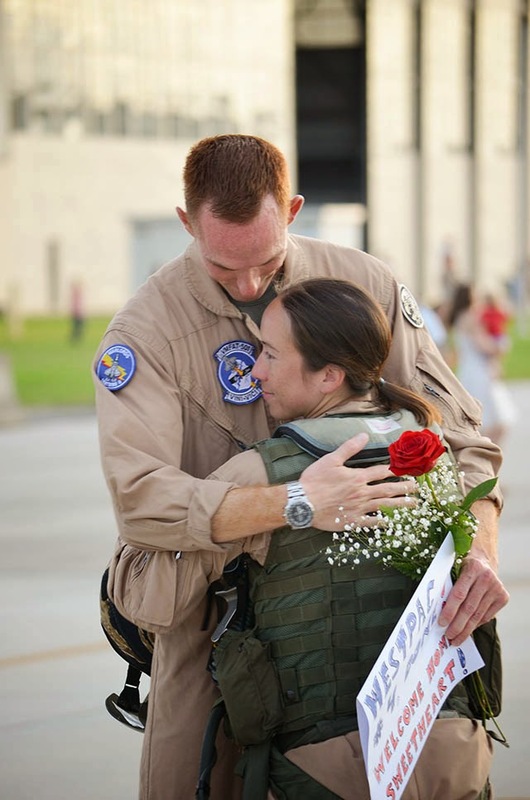 It doesn't sound so bad, but between the two deployments and going away to a school in between, he had been away for a total of 17 months out of the 30 months that they have been married! 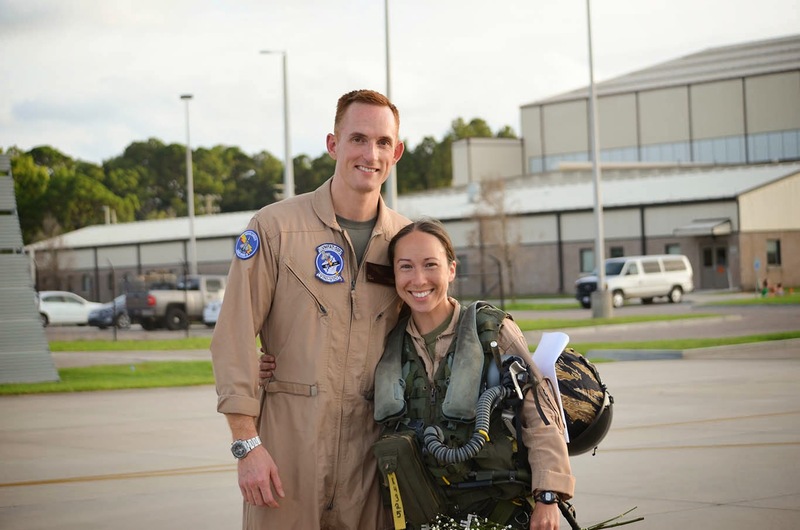 Jessica is definitely happy to have him home, and looking forward to their next tour, which is three years, non-deployable!" 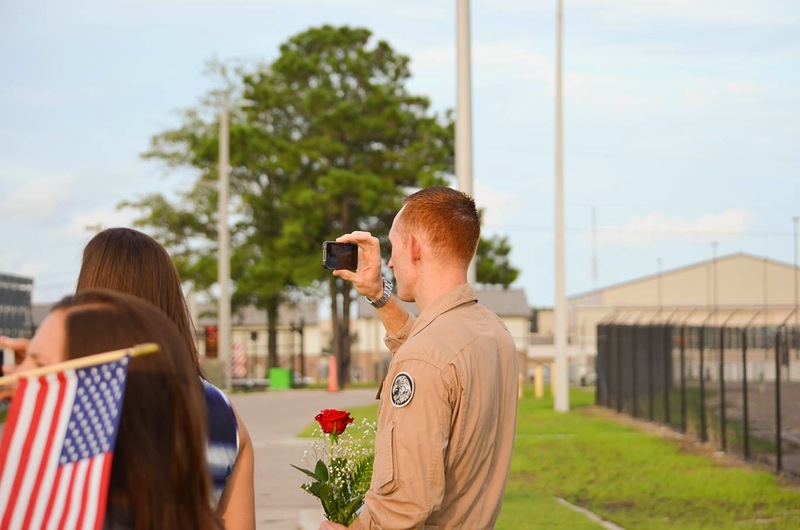 Thank you Brittney for sharing these homecomings and thank you to Matt for your service. 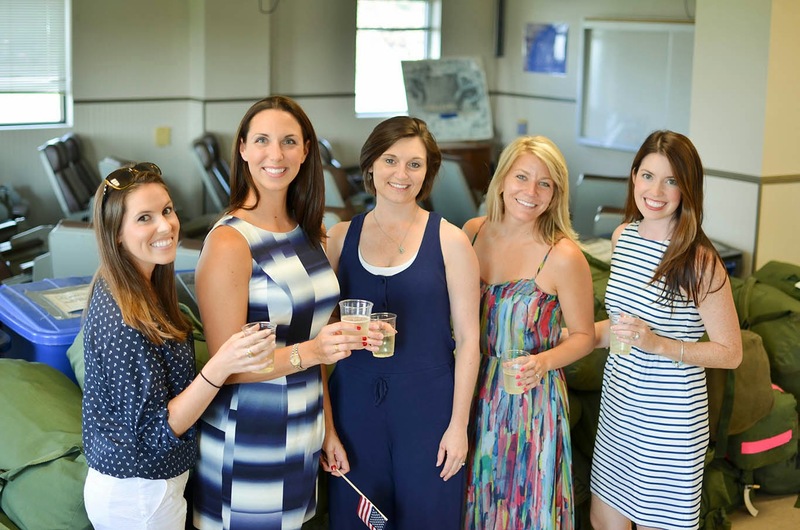 Brittney Livingston Photography is a military spouse who LOVES homecomings! 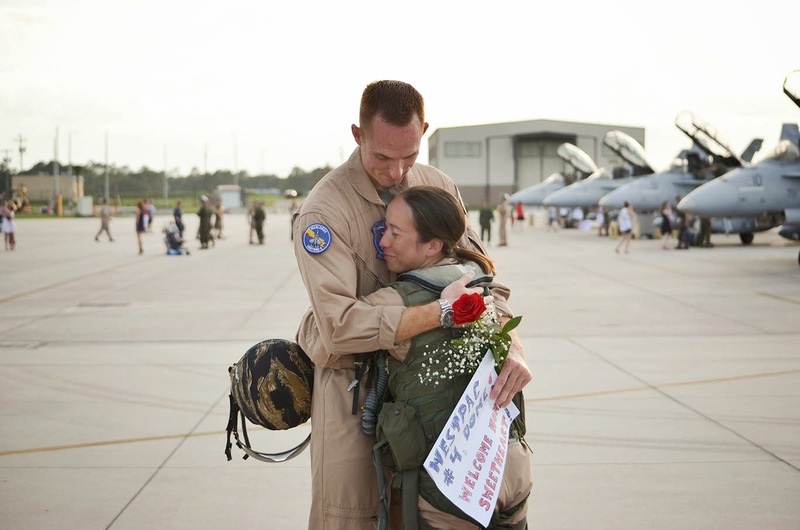 For her, seeing families and loved ones reunited is something that will never get old! 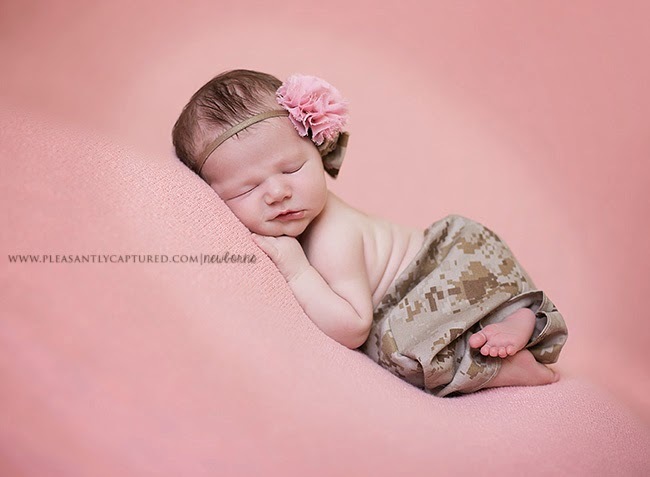 Brittney is available for family, child, newborn and military lifestyle photography in Beaufort, SC. 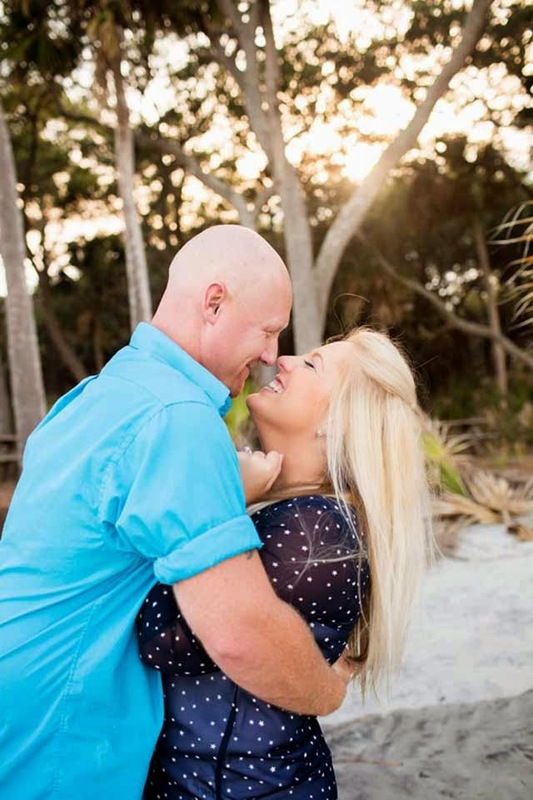 Brittney has shared more about Ashley and Brian's homecoming. 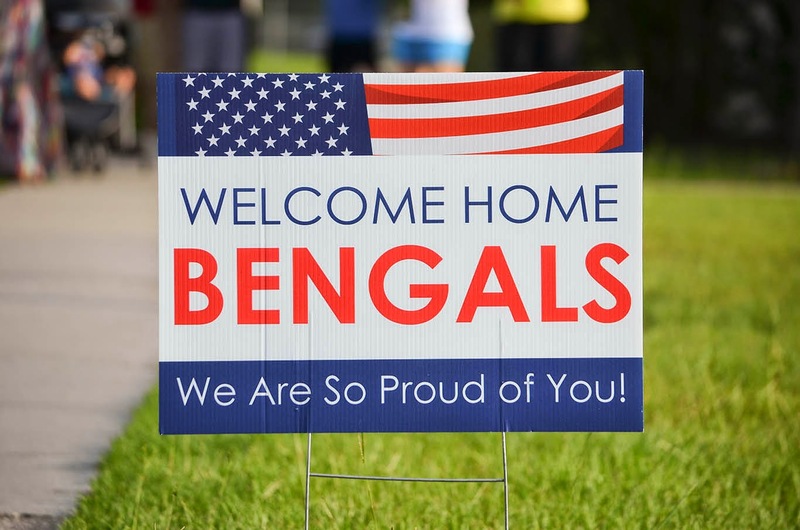 What is unique about their reunion is that it was Ashley who was coming home!! 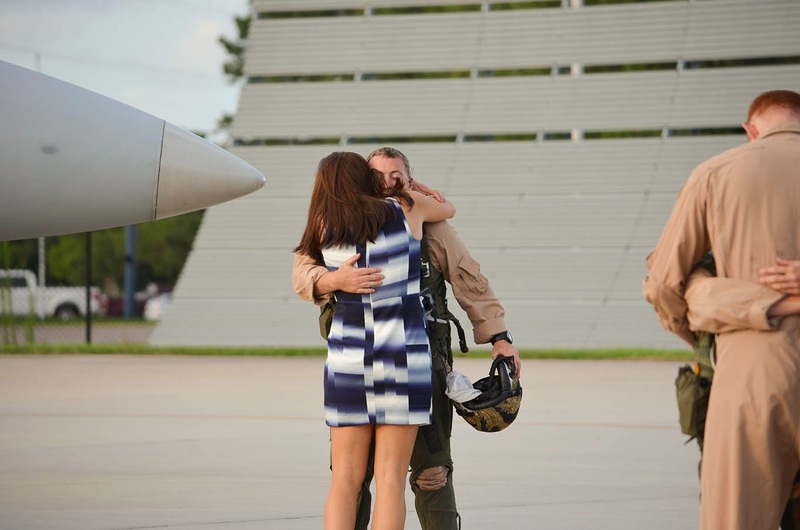 "It was so sweet seeing Brian standing there with all of the wives waiting for Ashley to land! 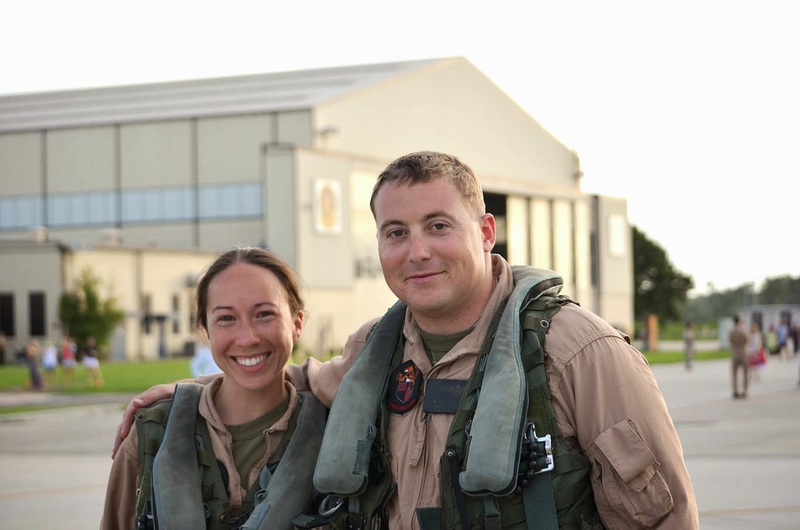 Ashley, a WSO (Weapons Systems Operator) was returning from her fourth deployment to the Western Pacific. 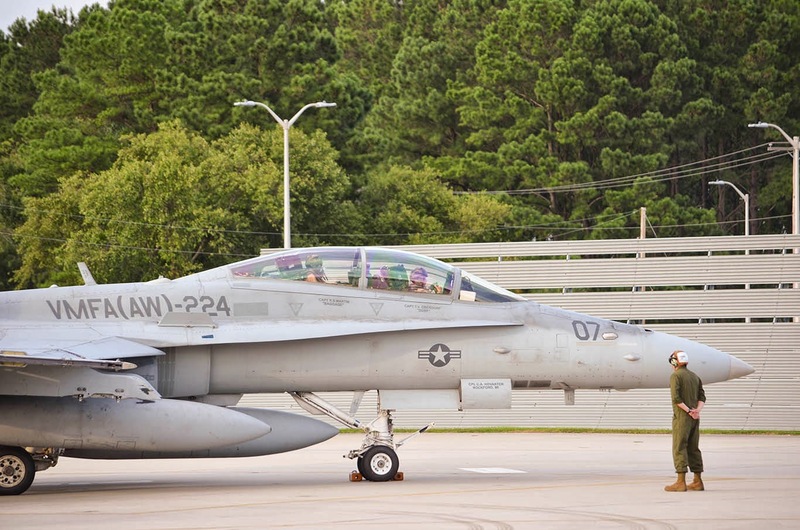 This particular deployment lasted six and a half months, making stop is countries like Thailand, Singapore, Australia, Korea Japan and Malaysia. 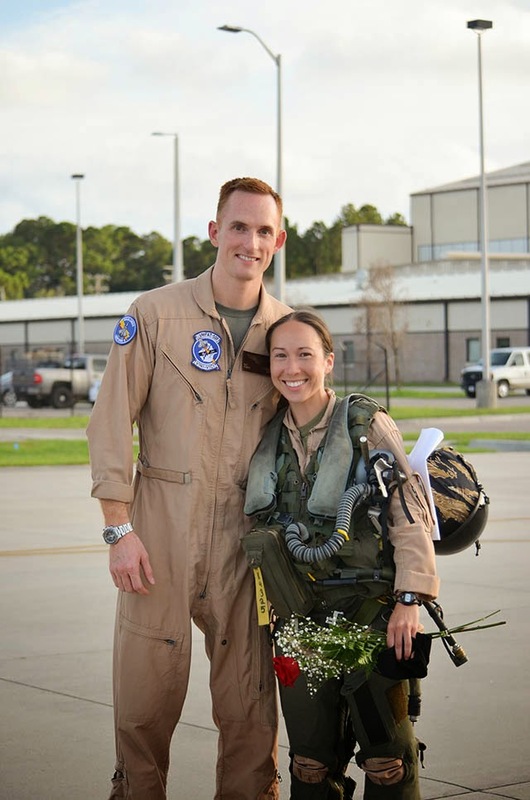 She and her boyfriend, Brian, met at the Weapons and Tactics Instructor course in Yuma last year (not really where you'd expect to find someone...), which is funny because they both had been stationed in Beaufort for several years and had never met before." Brittney has another happy homecoming session to share from this same day which will be on the blog Friday, so make sure you check back again. 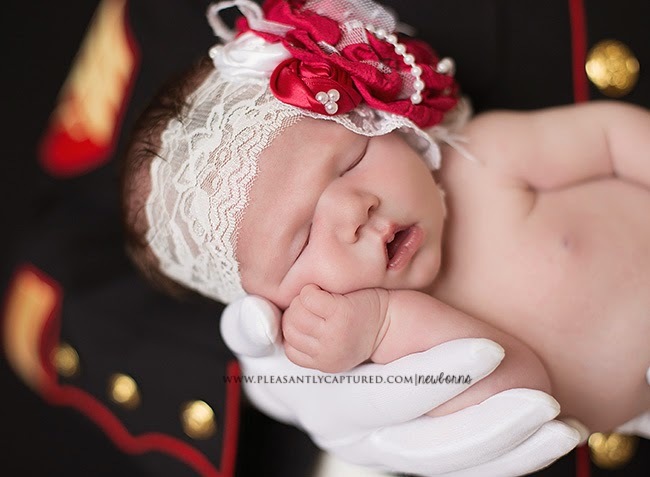 Pleasantly Captured Photography is run by Al Vargas, mom to a silly little dude, two goofier fur babies and wife to a U.S. Marine. 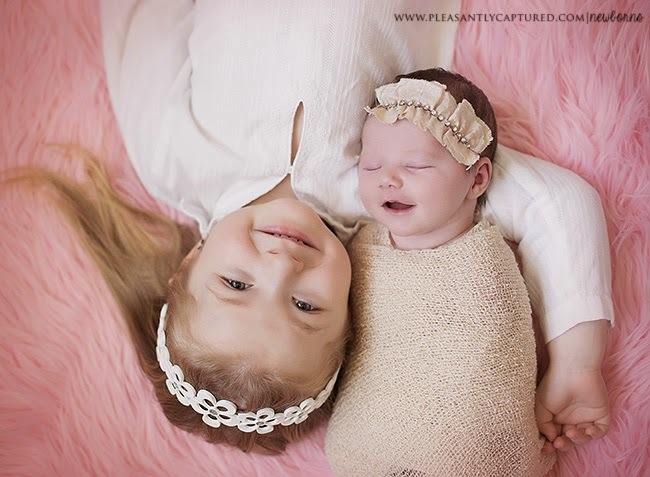 Although Al appreciates all genres of photography, she is most passionate about maternity, newborn and child portraits. 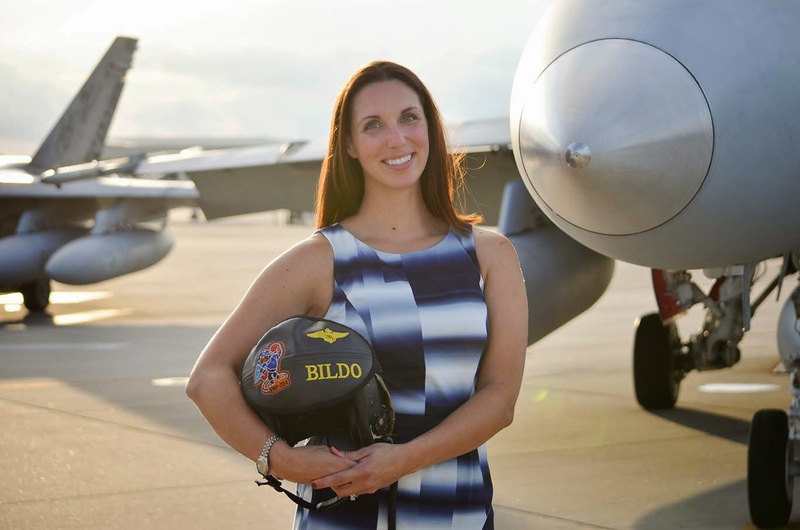 She is currently serving Jacksonville, NC, home of Camp Lejeune, and surrounding Coastal Carolina cities. 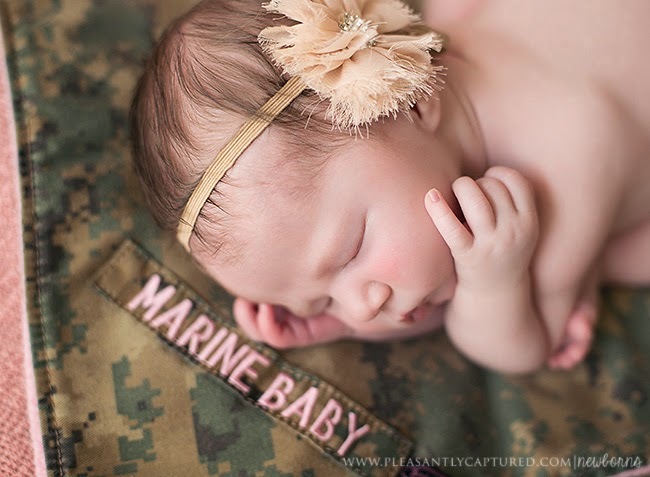 Al shares, "Sweet Izzy's parents and I were on the same page from the start of session planning; there was to be lots of pink, owls and most importantly, we wanted to represent her Daddy's faithful service to the Marine Corps. This session was a dream because Izzy was such a sleepy little one, which allowed me to achieve some absolutely gorgeous images. They are all my favorite, but the image of Izzy smiling while her Daddy is cradling her in his Dress Blues makes my heart flutter! That will definitely be on a very large canvas in my studio!" 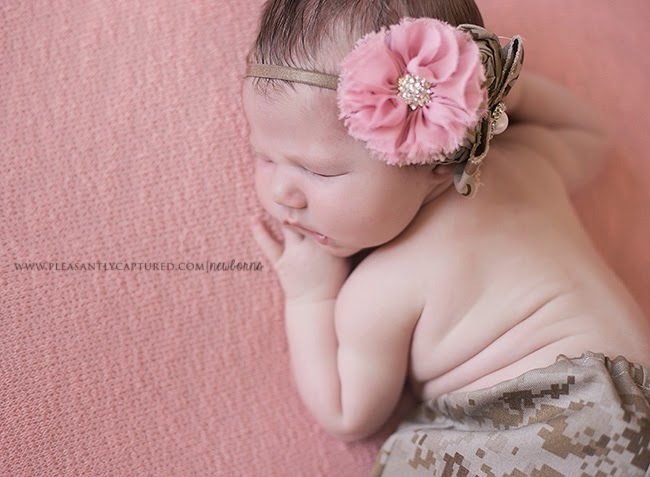 Thank you Al for sharing these precious photos and also the accessory companies: Fancy Girl Bow-Tique // Flourishing Creations // Kasey's Creations - USMC Cammie Pants. 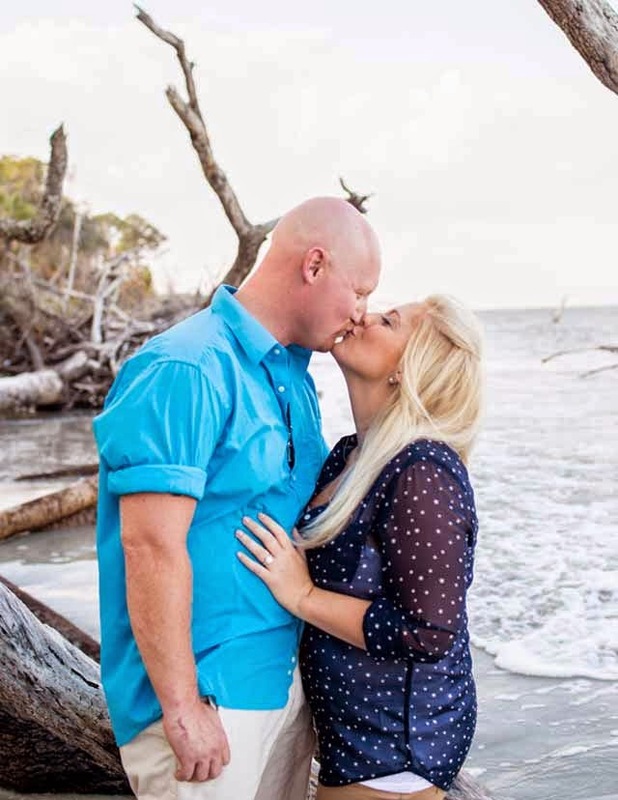 This photo session may not have military uniforms, but Jason is in the Coast Guard. 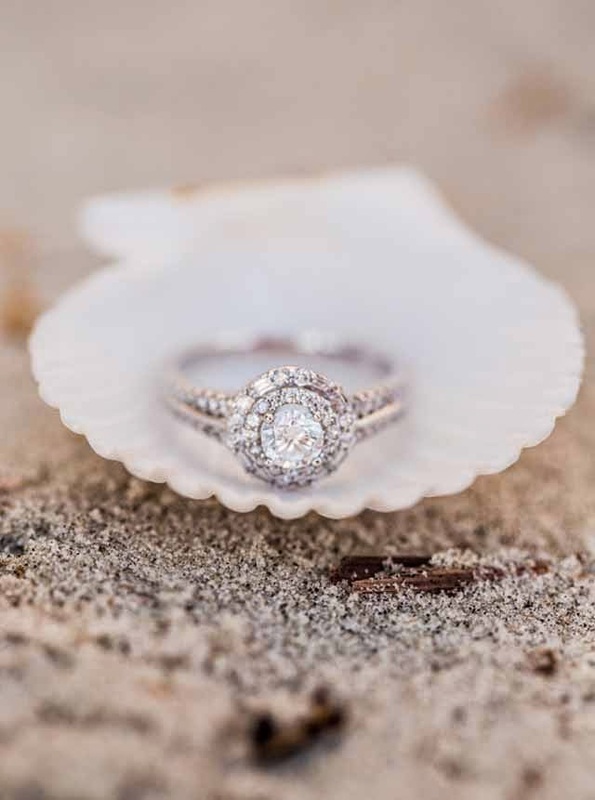 Jessica Roberts Photo shares this double whammy surprise engagement and it's at one of my favorite locations down south. When I used to live in Savannah, GA I visited Hunting Island, SC and it's absolutely amazing!! The trees and winding road to get to the beach is breathtaking!! 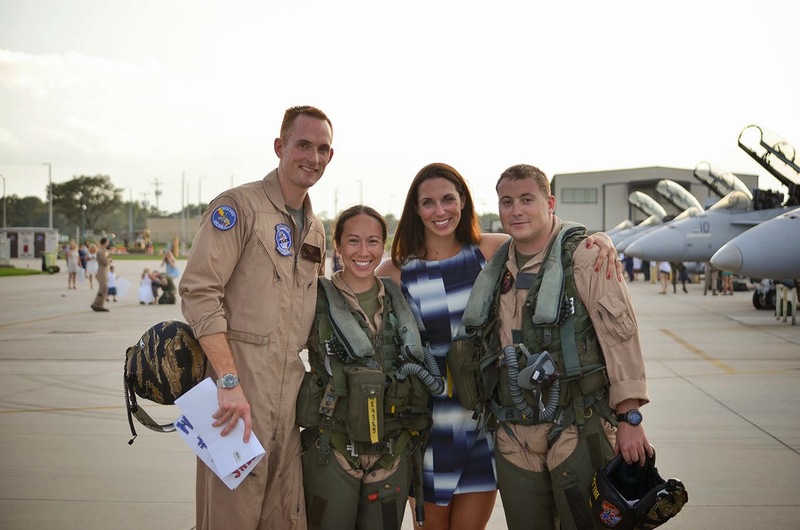 Jessica shares, "Jason is in the Coast Guard. 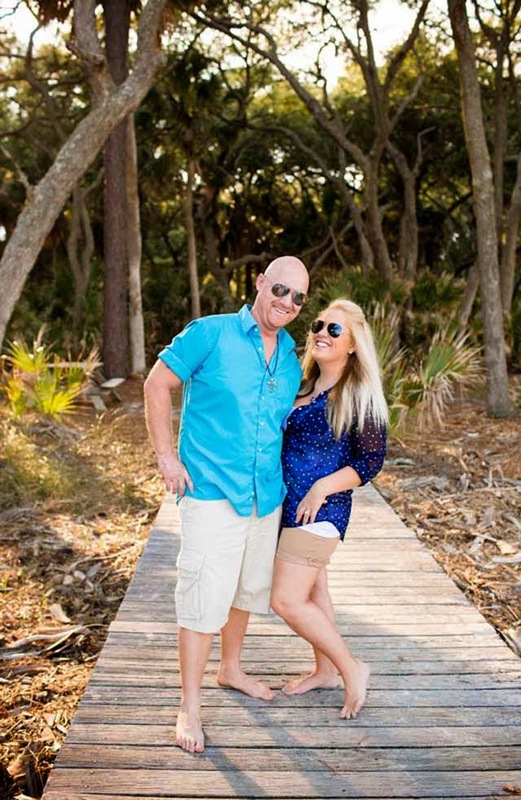 He and his then girlfriend, Meg went with Meg's family to vacation in Hunting Island, South Carolina. 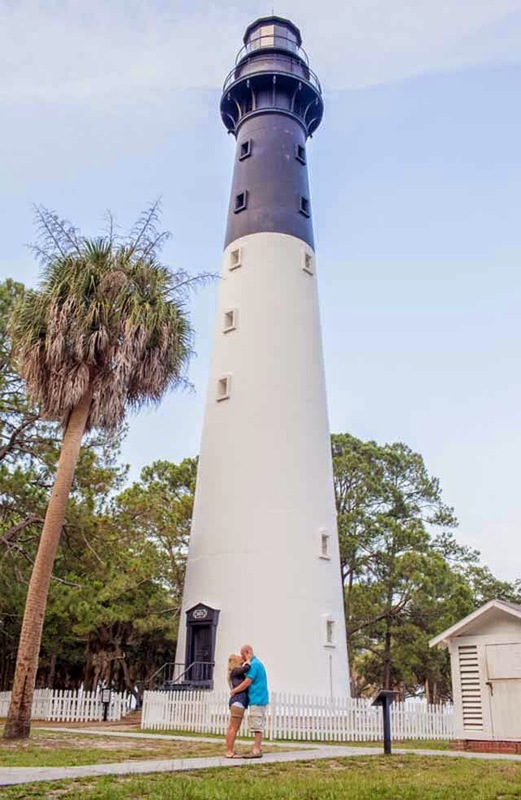 At the top of this lighthouse, Jason got down on one knee and asked her to marry him! 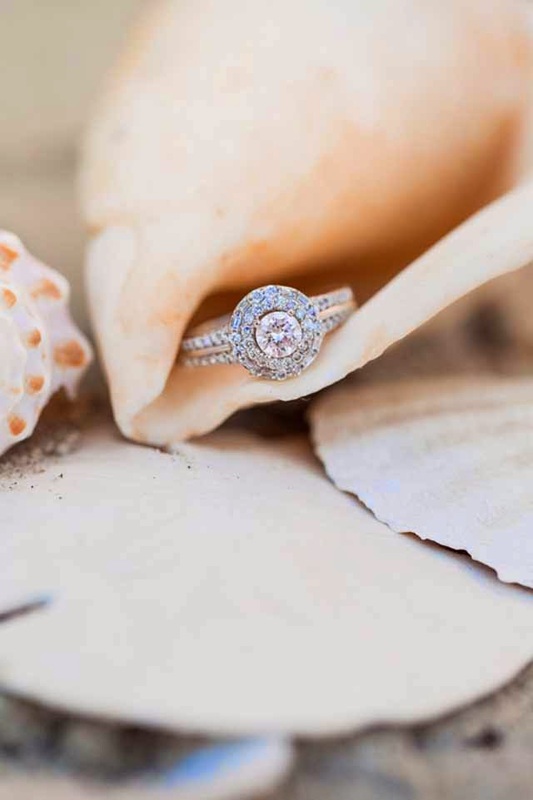 Everyone was so surprised and thrilled, but Jason told me this ring had been hidden in his house for a month! Another awesome surprise that vacation. 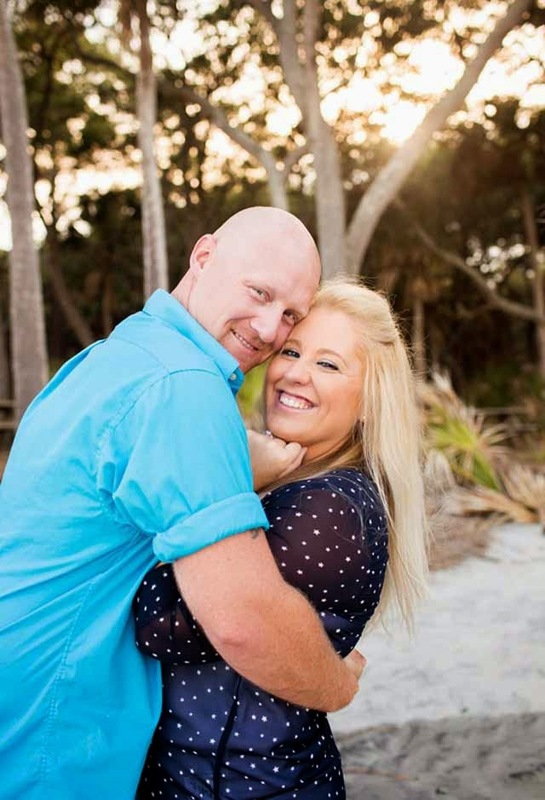 Meg and Jason found out they were expecting their first child!" Thank you Jessica for sharing this and CONGRATS to the happy couple!